Our family is consistently busy, no matter what the season. If I don’t jot down reminders and to-do lists I’m bound to forget something important and since we live in a somewhat remote area, it can be extra inconvenient when something is forgotten. In September when school starts up again, our busy lives becomes hectic. 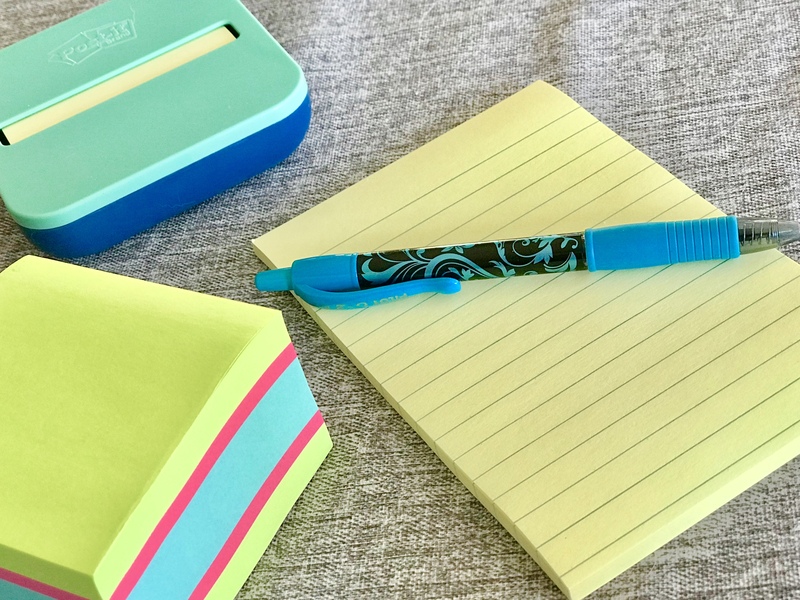 We need all of the notes to keep life less so and the 3×3 Post-it® Super Sticky Cube is our go to. Yes, we have the regular old book markers that the kids bring home from the library. They’re cute and all, but they don’t stay in place. Kids shouldn’t doggy ear the pages on books they do not own so we use Post-it® Super Sticky Notes which make the perfect book marks. I use them for my planner, too! For my 1st grader we use Post-it® Super Sticky Notes around the house so that he can practice his site words. If he hits the light switch, opens a door or fills his cup he has to read the post it inscribed with that site word. 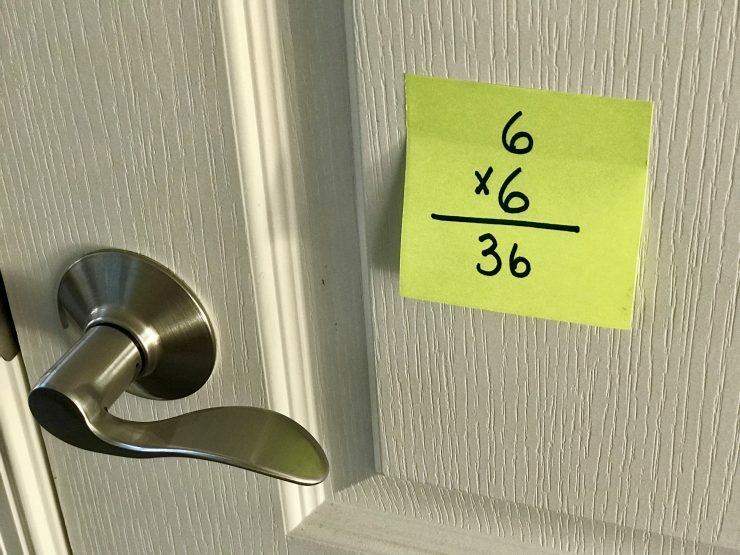 My 4th grader will practice her multiplication facts or vocabulary words in the same way. I can’t count the number of times that a note has fallen out of one of the kids’ folders, never to be seen by their school teacher. When I’m writing a note informing the school that I’m picking up my child early that day, I always reach for my Post-it® Super Sticky Lined Notes to ensure the message does not get missed. 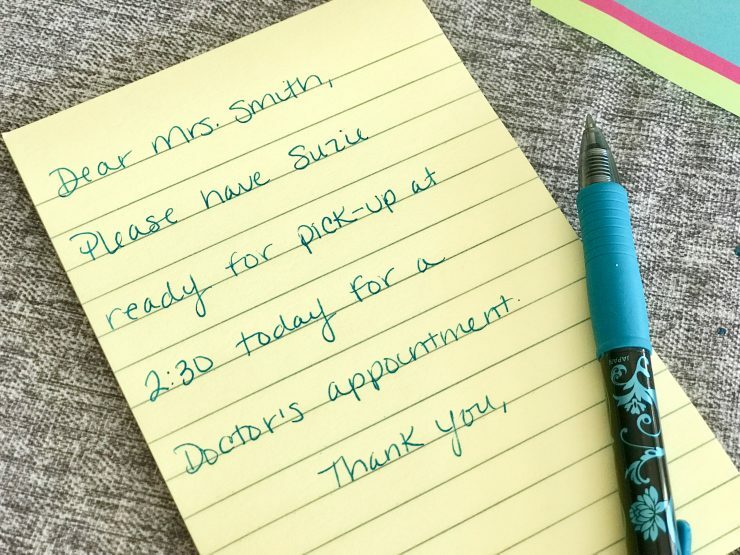 The super important reminders deserve super sticky notes. 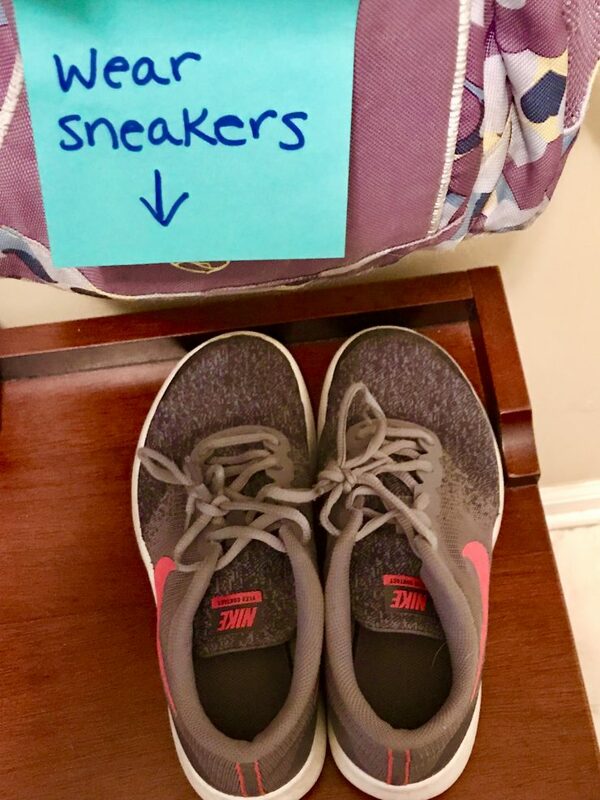 We attach Post-it® Super Sticky Notes to the things we never forget – like a cell phone or backpack so we don’t forget things the things that don’t happen every day like sneakers for gym or crazy sock day. Nothing like showing your kids a little love so that they know you’re thinking of them while they’re at school. Or a surprise note of encouragement to boost confidence. 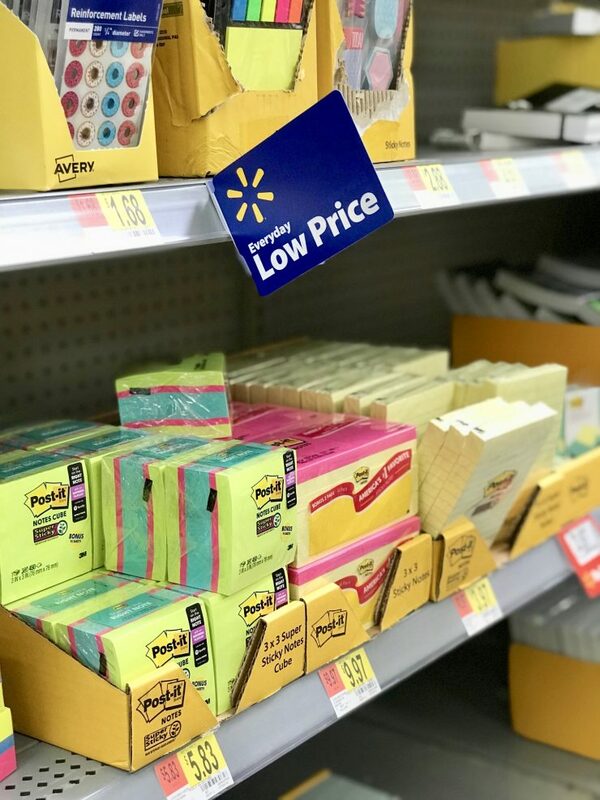 You know you can find Post-it® Super Sticky Notes pretty much anywhere, but Walmart has an impressive collection of school supplies at great prices. 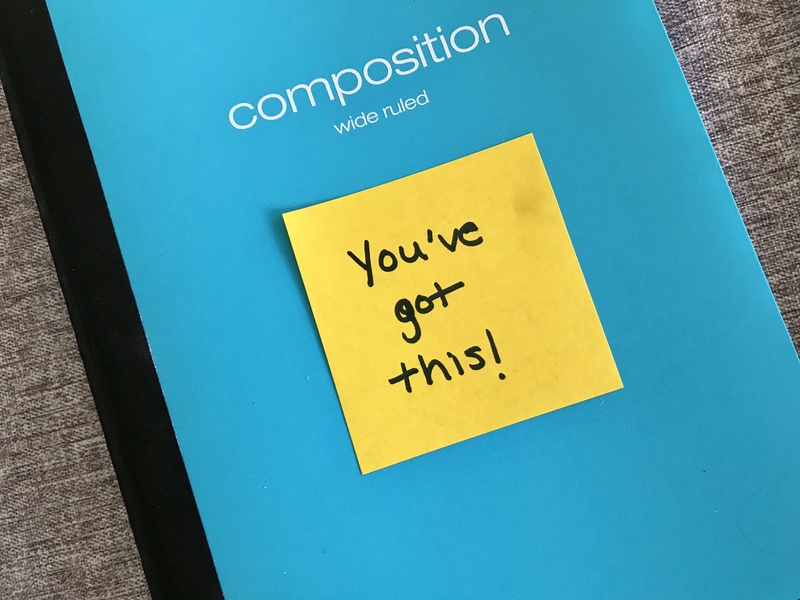 For more back-to-school Post-it inspiration, visit this page. I live for my post it notes. I have them everywhere in our home and use them for studying my children’s spelling words! Oh my! I love post-it notes and use them all over my house! They are my favorite bookmarks because they don’t damage book pages! I definitely use post its for reminders for even myself. There is just something so fun about colorful reminders! These are some really fun ways to use post it notes. I love the one to remind to wear sneakers. So cute! I love using post-it-notes. My favorite thing to do is leave my kids little notes around the house. 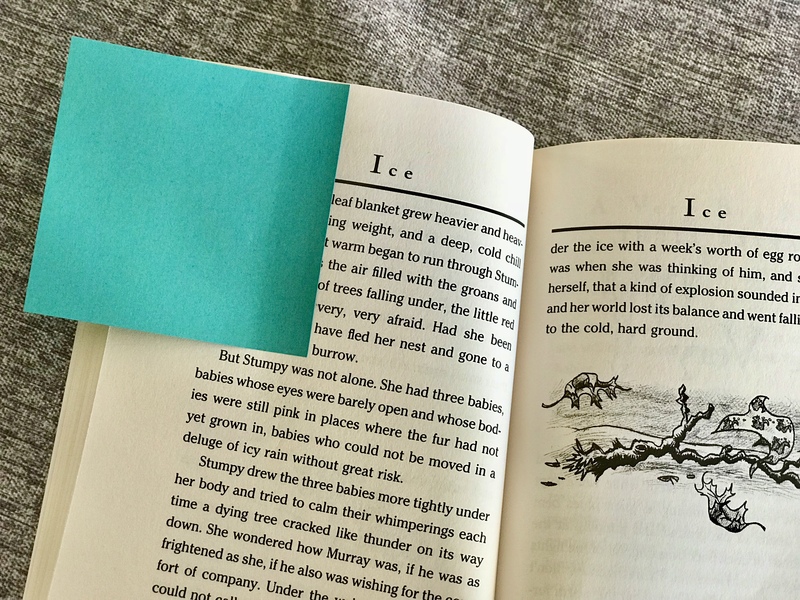 I’m obsessed with Post It Notes–couldn’t live without them! I have them in many different sizes and colors and use them for all of these things…and more. Post-It Notes area favorite in our home. These are some really cool tips. I can’t wait to use them this school year. Post-it notes are a LIFESAVER! I use them for all of these purposes and to write way too many notes to myself. This is definitely a good time to stock up, I should grab some more!